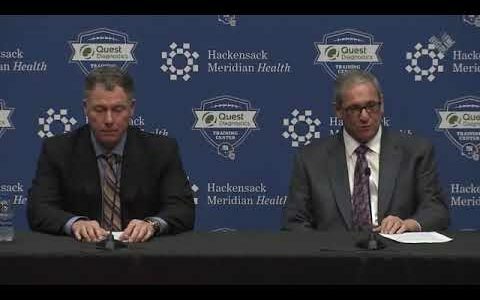 Introduction: The New York Giants GM Dave Gettleman has been very active once the final 53 man roster was announced on September 1st. Adding and subtracting a number of players over the past week onto the roster. It’s highly unlikely that Gettleman is finished putting together the roster as some clearing needs still appear to be evident (Right Tackle). Alonzo Russell (WR): Performed well when called upon with four receptions for 71 yards and a touchdown. The Giants like his size (6’4/210) and quickly him placed on the practice squad. Calvin Munson (LB): Munson played in 14 games in 2017 with 5 starts and played respectfully as a rookie. Giants like his endless motor and blue collar mentality; which is why they placed him on the practice squad so quickly. Garrett Dickerson (TE): This move was a little confusing and quite frankly hard to understand; especially when there were other players cut who are better. Dickerson had no receptions in the two pre-season games. Anyway; the Giants must see something in this rookie out of Nortwestern; I certainly don’t. Jawill Davis (WR): Davis is another player that I’m a little confused why the Giants placed him on the practice squad, considering that there were other candidates who were more worthy. Davis had 3 receptions for only 23 yards; which placed him near the bottom among fellow wide receivers in the pre-season. Grant Haley (CB): Haley does all the little things that have been asked of him. He has played well when called upon in both secondary snaps and also on special teams. Could be a mid season call up depending how the secondary performs early in the season. Avery Moss (DE): Moss was taken in the 5th round of the 2017 draft and saw some action as a rookie. His overall game last season was respectable, but struggled a bit in pre-season. However; the Giants think highly of him enough to place him on the practice squad. Victor Salako (OT): Salako is still only 24 years old and played his college ball at Oklahoma State. Salako bounced around from Philadelphia to Cleveland and now the Giants. The Giants like his mobility for his size (6’5/327) and has the long arms many teams covert at the tackle position. More of a blue collar mentality and not blessed with gifted ability. Jhurell Pressley (Running Back): A late addition to the team, Pressley has been impressive with his overall play. Giants are wise to add him to the practice squad; which will allow him further development as an emergency call up. Ukeme Eligwe (LB): Eligwe played for the Kansas City Chiefs in 2017 after an outstanding college career at Georgia Southern. Eligwe is still a bit raw and slightly behind in the learning curve, but his physical tools are easy to see. Robert Martin (RB): Martin had a strong preseason; which earned him a spot initially on the 53 man roster. However; a day later the Giants signed linebacker Nate Stupar and to make room for him; Martin was released. However; Martin went unclaimed on waivers and the Giants decided to bring him back and placed on the practice squad. Final Thoughts: This has been one of the most craziest pre-seasons for the Giants that I can remember. I can’t remember when so many moves were made in a matter of days to finalize the 53-man roster. I would have liked to have seen a few players included to the practice squad instead of players like Garrett Dickerson and Calvin Munson and Jawill Davis. Players like Josh Banks, Davis Webb and perhaps Jerrell Adams would have been my picks. Anyway, this is what Gettleman and Shurmur have decided are the best options and I believe in their knowledge and decision making that these were the right choices. Something tells me that the Giants will have a revolving door in regards to the 53 man roster and the practice squad throughout the season. Once Josh Mauro returns from his suspension and when R.J McIntosh returns from the IR, decisions will need to be made if they are to be added to the roster.